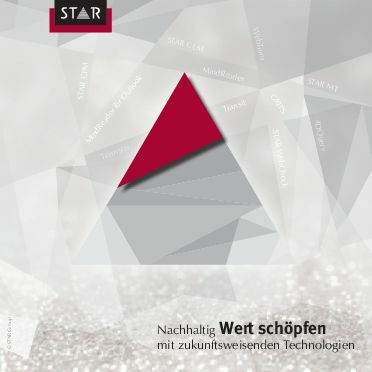 Companies rarely take lessons from 18th century philosophers, but STAR Group’s approach shows the future-proofing benefits of the lessons of the past, according to Josef Zibung, the company’s CEO. Luigino Barp, Head of After-Sales at Ferrari, tells us how every single day at the office revolves around providing their clients with complete satisfaction. Work 4.0 is taking place in a working environment with intelligent information and services. These are introducing the possibility of digital work assistants and digital work accelerators that are calibrated to the specific capabilities of the worker they are helping. They combine the strengths of people and machines in order to successfully overcome future challenges posed by the world of work and demographic phenomena. Skilled engineers are becoming harder and harder to find, yet the demands placed on maintenance and servicing personnel are increasing all the time. Virtual reality, augmented reality and intelligent information structures offer an effective and practicable solution: Step-by-step instructions visualised on the object, giving a “digital coach”. Customer experience management and Industry 4.0 are two of the most important trends in recent years. But what does customer experience management mean in an Industry 4.0 world? How are customer expectations and customer service evolving in a world where products are being developed at an accelerating speed, manufactured with greater customisability and used with increasingly more intelligent, personalised functions? The technical writer is dead. Long live the technical writer! “Welcome to Technical Communication. I am 89% sure that the profession of technical writer will no longer exist in a few years’ time.” This is how I am going to welcome around 40 hopeful young people to the first-semester welcome event for the Technical Writing and Technical Communication course at Munich University of Applied Sciences on 4th October. The statement that the days of technical writers are numbered has quickly spread in the field of technical communication and is proving extremely hard to dispel. It is now time to delve a little deeper into this topic.